Finally, here it is: the long awaited new single from Anders TrentemA¸ller, taken from his forthcoming album aInto The Great Wide Yondera. aSycamore Feelinga is a beautifully melancholic downtempo song with haunting vocals courtesy of singer Marie Fisker. Fiskeras sensual, intoxicating performance, framed by a lush instrumentation with lots of ambience, make this another great TrentemA¸ller-track. On aSycamore Feelinga, his new gem, the Danish producer introduces an upcoming female singer from his hometown Copenhagen: Marie Fisker, one of several vocalists to appear on the soon to be released album aInto The Great Wide Yondera - the follow up of his highly succesful debut aThe Last Resorta (2006). Rough around the edges, aSycamore Feelinga definitely sounds more indie-rock than his previous releases, thanks to the use of live drums as well as electric and acoustic guitars, yet the result is vintage TrentemA¸ller, who played all instruments except the acoustic guitar himself. As in all of his music, the colours in the arrangement continually change, making it one of these tracks that you can keep on playing, discovering new details all the time. A remix is offered by Danish electronic outfit Mofus, which builds an effective minimalistic arrangement with spacey atmospherics around Fiskeras longing vocals. This version is another fine example of the way TrentemA¸ller keeps discovering new (Danish) talent, that nicely complements his own sound. 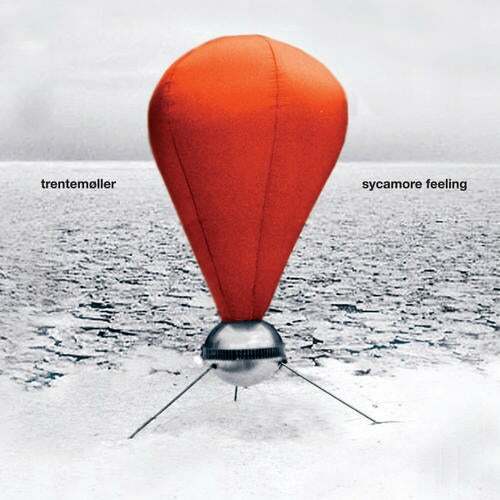 Anders TrentemA¸ller offers his own alternate version of aSycamore Feelinga, with even more electric guitars than the original, a different chord progression and, again, a solid indie-rock feel. The video for aSycamore Feelinga will be directed by video-artist Jesper Just, while the artwork comes courtesy of TrentemA¸lleras designer-friend and live tourdrummer, Henrik Vibskov and his partner in art Andreas Emenius. aSycamore Feelinga is the first release on TrentemA¸lleras own label In My Room.